Clydebank has a proud heritage and was developed in Victorian times when the Thomson Brothers moved their shipbuilding yard from Govan to the area formerly occupied by John Brown Engineering/Kvaerner and UIE yards when it was just green pasture in 1872. They named this the ‘Clyde Bank Shipbuilding Company’ and over time the housing and shops that built up around this site became known simply as ‘Clydebank’ banishing the original village name, Barns O’ Clyde, to the annals of history. 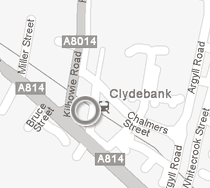 In 1886 it became the Burgh of Clydebank and has continued to grow and prosper till this day. In 1885 Singers Sewing Machine Co. opened its new factory in Clydebank but this sadly closed in 1980 – just 5 years short of its centenary. 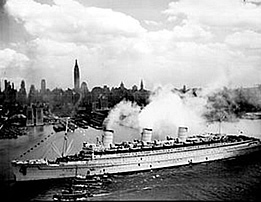 During World War II it became the target for air raids due to the shipyards whose efforts proved invaluable to the war effort. It would not be possible to talk about Clydebank without mentioning that for which it is most famous, The Ships. An illustrious roll call could be laid here but too many to mention so we shall recall some of the most famous. The four most famous chronologically speaking would be the Lusitania (1906), Queen Mary (1934), Queen Elizabeth (1938) and, of course the most famous of all, The QE2, Queen Elizabeth II built in 1967. You could be forgiven for not knowing that Clydebank folk also built Steam Engines, planes, oilrigs, a floating drilling barge and massive turbines for power generation. They also manufactured chemicals and to this day we still have the local ‘Auchentoshan’ distillery who confuse us all by telling folk it is from Glasgow. The current proposals are pretty exciting and they set out to establish a mix of business, retail and leisure developments. Rise to the top of the Titan Crane in comfort by lift and enjoy the view for miles around on a clear day. This magnificent salute to the skills of the townsfolk still stands proudly over 100 years later and is a fantastic attraction. The newly built Clydebank College next to it will see housing built on the 33-hectare site adjacent. This project will involve significant investment which is expected to be well in excess of £200m. 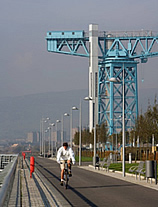 The area is described by Scottish Enterprise as being the single biggest area of regeneration on the riverside. Those who are driving the project hope for a high level of activity and investment in early course. The future looks exciting for the town in relation to the envisioned development. So come visit the town and enjoy a small refreshment in our welcoming Alexander’s.